The most meaningful moments begin with gratitude. It’s easy to get lost in planning the practical details of your wedding day, like what the decor will look like and what the seating arrangement will be like. Today I encourage you to give yourself a break from those tasks and zoom out a bit. 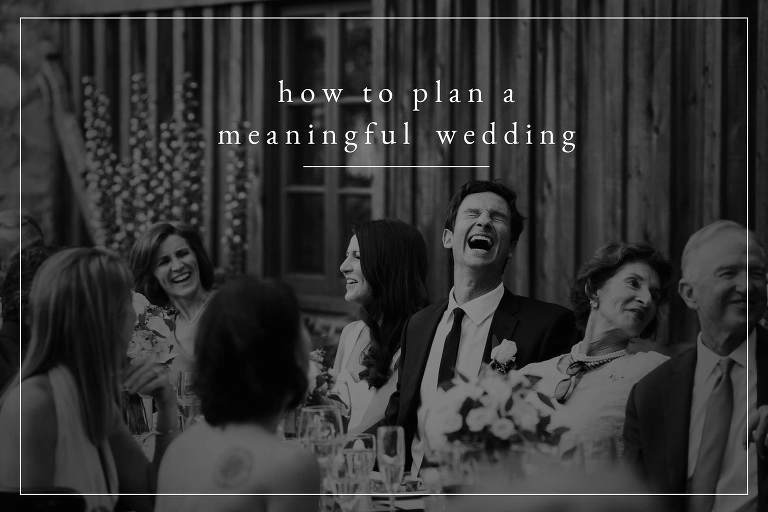 Take time to brainstorm about how you can plan for a very meaningful wedding. Specifically, how can you create memorable moments at your wedding? Meaningful moments usually begin from a place of expressing gratitude. 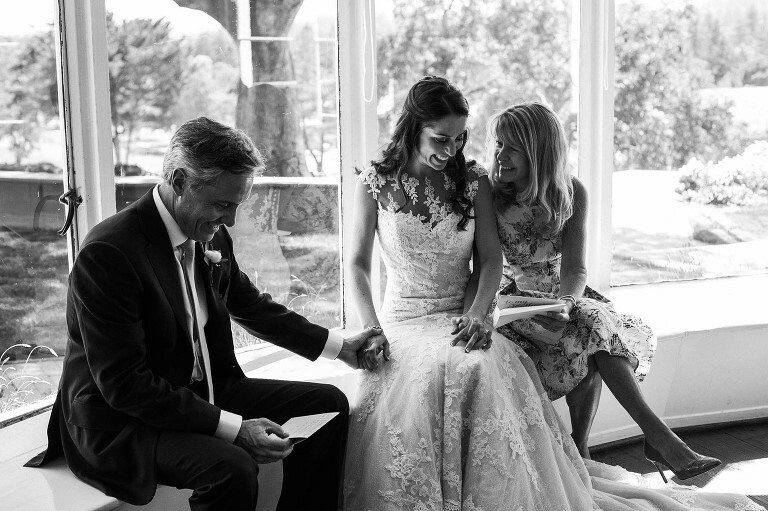 Just before walking down the aisle, this bride called her parents into a room to have a sweet moment with them. She wanted to acknowledge her parents and their loving support throughout her life. Sitting down by a window, the bride handed each of her parents a separate letter to open and read. Both parents teared up while they read their letters and squeezed their daughter’s hands. That was her last moment as an unmarried woman. Acknowledge someone who raised you and find a way to show them gratitude. A heartfelt letter in the midst of your own important day is one of the best ways to show someone how meaningful they are to you. Paul surprised his bride and everyone in the room when he stood up during the dinner reception at their wedding. 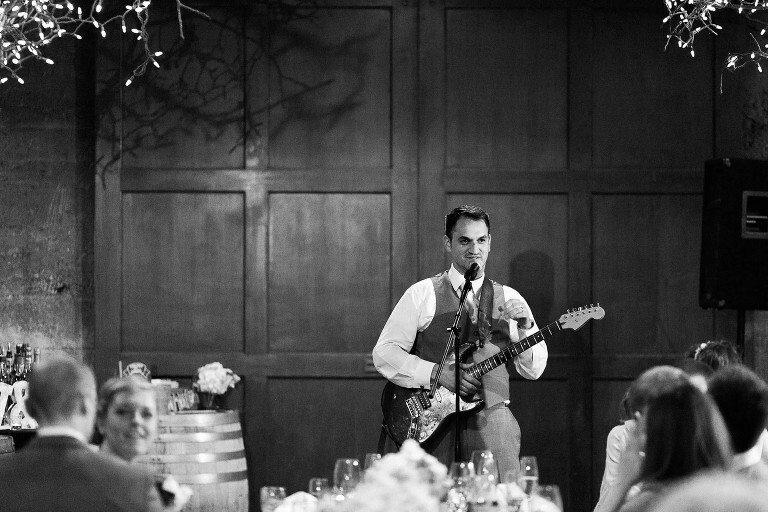 He walked over to a microphone placed at the end of their long banquet table and pulled out a hidden guitar. Jenna (and the rest of us) teared up as Paul sang a love song he had been secretly writing for her. I hope that neither Paul or Jenna will ever forget how they felt in that sweet moment! I know I won’t! Maybe you don’t have musical talent, but there are a million ways to surprise your beloved on your wedding day. Create something meaningful- a painting, a poem, a slideshow, or even choreograph a flashmob with the help of your friends. Joyful tears happen when a whole room of people watch the groom gently spin his wheelchair-bound grandmother on the dancefloor. More tears happen when his brothers and mother join in. Make some memories with those elderly guests while you are lucky enough to still have them in your life. Whether you plan a special dance, ask them to help you button up your dress, or acknowledge them with a toast, consider creating a way to honor them. Life takes unpredictable turns and these are the kinds of moments you will want to have photographs of. It is tradition for parents and best friends to offer a toast that highlights the best qualities and moments of the bride and groom. What if you also offered your own toast to one or each of those people? 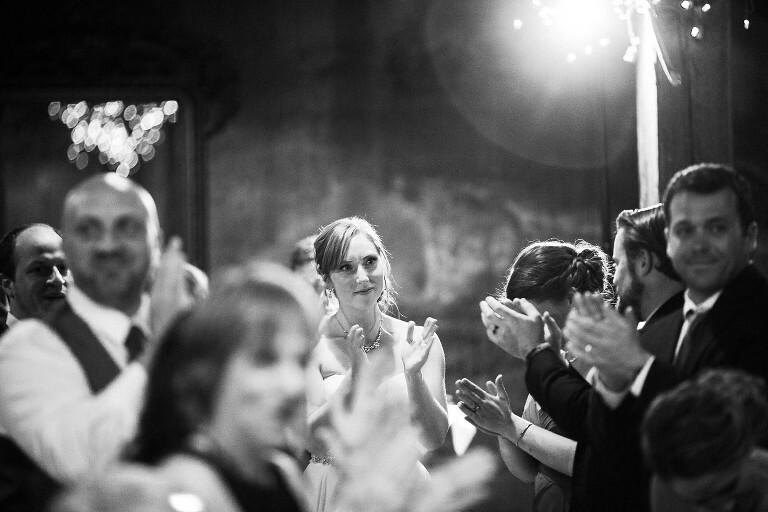 Weddings are just as much about your relational support network as they are about you. These are the folks who added meaning to your life in one context or another, and they are all here in one place for a rare, simultaneous gathering. Wouldn’t it be great to give a public shoutout about the people who mean the most? Have you thought about how you will spend the last moments before you walk down the aisle? Consider creating an intentional space to gather with your immediate families or alone with your partner. Talk about the future and the past. Flip through old photos or love letters. Say a prayer together if you are spiritual. Meditate for a few mintues. Do something that will set your mind and heart into a place of calm gratitude before you head to the altar. By now you’ve probably thought about whether you will do a “first look” (i.e. see your fiance before the ceremony… I’ll discuss that in another post entirely!) But you may not have considered setting up a kind of first look with a parent. This tends to be most meaningful for a bride’s father, since he usually isn’t around while she gets ready. Brides, your dad probably imagined your wedding day when you were first born. He watched you grow up into a lady, greeted your first prom date and helped you survive heartaches. Your dad probably imagined what this day would be like. Even if he isn’t an emotional guy, he’d probably love to have a specially planned moment to see you in your dress, and you’ll want the photos of that moment forever. I hope these ideas were helpful in planning for a more meaningful wedding! The moments are the going to be the most memorable aspect of your day- not how your wedding looked.